As our on going expansion plans we intend to set up dealerships in the countries of the G.C.C.providing them with benefits and continuos support backed with quality products. Lubricants Operations is committed to protecting the health and safety of everybody who plays a part in our operations. We manufacture quality automotive and Industrial lubricants of different SAE grades and meeting standard A.P.I specifications. 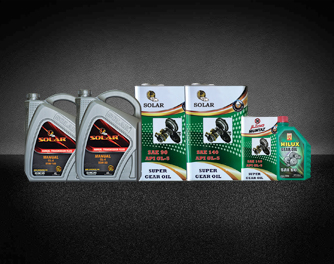 SOLAR LUBRICANTS REFINERY L.L.C is one of the leading lubricant manufacturers and refiners ISO CERTIFIED in the U.A.E. Since 1991. We manufacture quality automotive and Industrial lubricants of different SAE grades and meeting standard A.P.I specifications.We provide all types of packing options and sizes to meet our customer’s specific requirements. We are committed to identifying, managing, and controlling our impact upon the environment throughout our entire value-chain. Dedicated to the incorporation of sustainable practices across all our operations wherever possible. 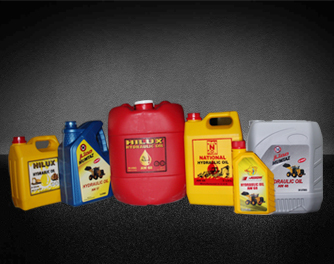 Are source conserving and high performance diesel engine oil formulated with highly refined mineral base stocks for use in light and heavy duty truck engines to meet all the specifications of API ranging from CJ-4,CI-4+,CI-4,CH4 and older specifications lubricants. Recommended for use in all heavy dutydiesel engines including the latest turbocharged where API CJ-4 or other API performance categories are specified. Proven superior anti-wear additive system protects engines under all operating conditions. Specially equipped to protect new 2007 and later Exhaust Gas Recirculation (EGR)/Low-Emission Diesel Engines while maximizing the durability of Diesel Particulate Filters (DPF’s). Outstanding detergent and dispersant keep the engine clean and enable efficient control of soot and sludge deposits on piston and rings. High thermal stability and excellent oxidation resistance provides outstanding protection against in-service oil degradation. Specially formulated for extended service/extended drain when operated under typical conditions and specifically engineered to help promote fuel economy. 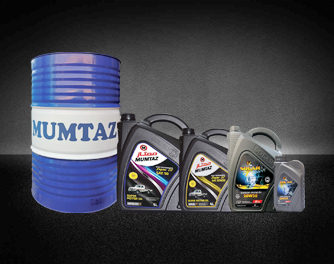 A high quality friction modified motor engine oil for made from pure hydrocracked base stocks and the latest anti-wear additive system that provides complete engine protection, less sludge formation and reduced piston deposits extending engine life. 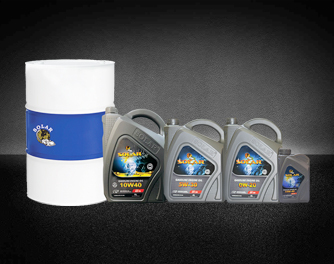 It exceeds the API ranging from SN, SM, SL, SJ and other older specification lubricants. Recommended for use in all high performancegasoline engines including the latest turbocharged where API SN and other performance categories are specified. Protects engines under all driving conditions. Improved fuel economy and ring seal for more power. Superior high temperature stability and oxidation resistance. It meets all the standards of American, European & Japanese vehicles. The below properties are typical values measured as per the API and SAE specifications. A high quality motor engine oil made from highly refined and pure hydro cracked base stocks and the latest anti-wear additive system that provides complete engine protection, less sludge formation and reduced piston deposits extending engine life. 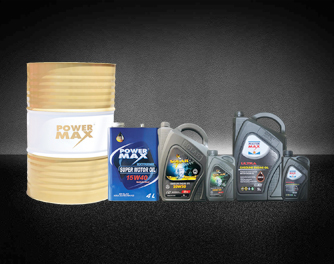 It exceeds the API ranging from SN, SM &SL lubricants. Recommended for use in all gasoline engines including the latest turbocharged where API SN and other API performance categories are specified. Gear Oils are specially manufactured to adapt to the most stringent requirements of manufacturers demanding high extreme pressures and antiwear levels,high temperatures and cleaness of transmission.Selected additives ensures excellent antifoam, anticorrosive, antitrust properties, besides excellent resistance to oxidation.These oils are manufatured to a wide range of API levels and SAE standards. Suitable for mechanical transmission system working in severe conditions. Suitable for lubricating mechanical gear boxes and reduction drives in lorries,trucks,agricultural and constructions machinery in severe operating conditions. Specially developed for lubricating one or two-stage rear axels working at high temperature and for which the user requires an extended oil change interval. Multifunctional use in many axels and gear boxes of a wide range. Increase extreme pressure and antiwear properties for an optimized lubrication hypoid and non-hypoid axels. Very good thermal performance guarantees the product stable under heavy loads and at high temperatures. Carefully designed frictional properties with base components selected to reduce vehicle fuel consumption. A premium range of quality hydraulic fluids formulated with highly refined paraffinic base stocks and anti-wear agents to provide a robust protection to all mobile and stationery high pressure hydraulic pumps. A wide variety of industrial applications including hydraulic systems using vane, gear or piston pumps, some makes of rotary compressors and machine tool hydraulic systems. Mobile and construction equipment, hydraulic drives and couplings, plastic molding machines etc., where anti-wear performance is required. Excellent protection against wear in a wide range of hydraulic applications. Good hydrolytic stability and demulsibility characteristics. Efficient control of foam and air release. Greases is a good quality Calcium / Lithium soap based grease which is resistance to water and protects against corrosion. This product can be applied with a grease gun or by automatic dispensing equipment. This product is suitable to resolve the problems of lubricating system operating under sever loads,temperatures constrains and even in the presence of water. These greases are recommended for long lasting and high performance in lubrication of all types of bearing opearting at low to moderate speed even under relatively high loads. Recommended for lubrication of various applications in all types of operating conditions, particularly where the operating temperature ranges between -20OC upto 120OC. Suitable for all kinds of bearing,joints water pumps,gears etc. when the temperatures and loading conditions are normal and requiring a long lasting high performance grease. 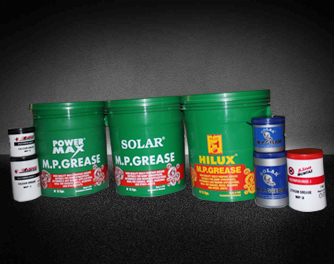 Multi purpose grease performs well at low and high temperature. Excellent performance even in presence of water,high adhesions properties enables it to withstand washout by water. Excellent antioxidation and antocorrosion properties with calcium/lithium sulfonates contributes to limiting breakdown,increse life time of equipment, reducing expenditure on replacement of part thereby improving productivity.